Sicily is a beautiful Mediterranean island that sits off the toe of Italy. The beaches in Sicily are some of the most captivating in the world. It's sparkling azure waters, rugged coastal landscapes, and velvety white sands provide the most intoxicating backdrop for a romantic sunset walk. Wherever you go on the island, and no matter what you order to eat, the food is guaranteed to be out of this world. Always fresh and always seasonal, the temptation to eat your way through Sicily is overpowering. 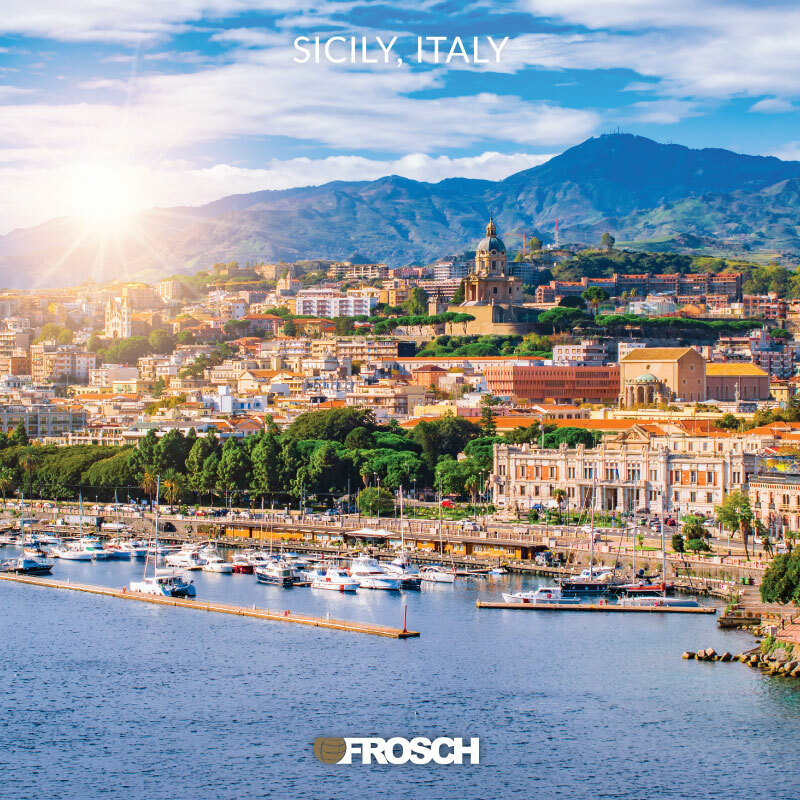 Explore the destination spotlight on one of these FROSCHVacations trips! ONE Guided Sightseeing with Private Car and Driver tour (Value - $700 per Couple) in the port below. ONE Private Car and Driver "At Your Leisure" tour (Value - $700 per Couple) in the port below.